Questions to Ask to Get to YES! Jane’s passion is helping business owners gain confidence to take their brand and services into the world through sales strategies that uncover their strongest business traits, position themselves for success and stand out in a crowd so their companies prosper. Her clients learn how to create sales verbiage and deliver it with authenticity and finesse, so they have the confidence to “sell” themselves in a way that feels natural and easy. 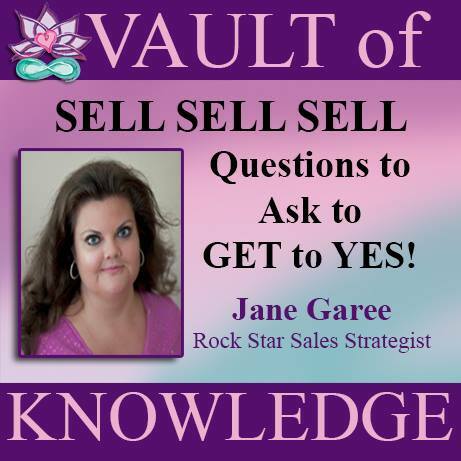 Learn how to GET TO YES with Jane! Listen to: Questions to Ask to Get to Yes!